I found this truly vintage low carb lemon cheesecake recipe in my recipe file. It was printed in pencil and looked like something I wrote down from back in the eighties when I was trying out a low carb diet (back in the olden days before we just looked on the internet!). I never did try it, maybe if I had I would have stayed low carb! Check out this article about the health benefits of the low carb ketogenic diet. It also was invented back in the day before stevia as it calls for liquid Sweet N Low . Which I actually had in my cupboard, so I decided to go ahead and make it exactly as I had it written. I usually do that, make the recipes exact the first time, then I play with them and add my own twists when I make them again. But honestly, there is not much I would do different on this low carb lemon cheesecake. It is one lemony and lusciously rich low carb cheesecake masterpiece in it’s original form! So one caveat if you are remaking this recipe. The reason that it is so low carb is because of the liquid sweetener. If you use Splenda or any of the powdered sugar substitutes, you are piling up the carbs, and that might be just fine depending on what you are trying to achieve. If I was a diabetic, I would probably go ahead and do that. But because I want to stay in ketosis, I want those carbs to be rock bottom. And at 4 carbs per slice, this is about as low as you can get for a piece of cheesecake in my opinion. My tips: You will need a Leakproof Springform Pan. Grease the pan generously with butter. Put your cream cheese and eggs out beforehand to get to room temperature. OK, Let’s make this cheesecake! See below for the printable version of this recipe. Mix these 2 ingredients together well and pat down into the bottom of your spring-form pan. (I like to place parchment over the bottom, but not required). Bake the crust at 375 for 6 to 8 minutes. Remove from oven. Using an electric mixer, beat cream cheese until fluffy. Add the rest of the ingredients, beating and scraping the sides until well mixed. Pour the mixture over the baked crust. Place pan in a larger pan with water that comes up about an inch or two. (This is a water bath and prevents the cake from cracking). Bake at 350 for 50 -60 minutes. Remove from oven. Combine these ingredients in a bowl. When cheesecake comes out of oven, spread evenly on top and bake for another 10 minutes. Allow to cool on the counter for at least 2 hours. Then refrigerate overnight or for several hours. I plan to make this again for our New Year’s Eve dinner. This way I can eat the leftovers on January 1st, and I won’t be cheating on my diet! Cal: 260, Fat 23, Protein 5, Carbs 4 giving a Keto ratio of 83/10/7. I added a dollop of whipped cream to mine here which will add another 100 calories, 11 g fat and 1 carb. I had to do it! At my Boxing Day party, I cut this cheesecake up into little bite size squares with no extra toppings at all, and nobody suspected this was low carb or sugar free. I hope you love this Lemony Low Carb Cheesecake as much as I do! This quick keto low carb lemon cheesecake is one to keep forever! It's low carb, gluten free, sugar free, keto lemon cheesecake goodness makes this one a real keeper. Try it today! Using an electric mixer, beat cream cheese until fluffy. Add the rest of the ingredients, beating and scraping the sides until well mixed. Place pan in a larger pan with water that comes up about an inch or two. (This is a water bath and prevents the cake from cracking). Combine these ingredients in a bowl. When cheesecake comes out of oven, spread evenly on top and bake for another 10 minutes. If you add a dollop of whipped cream it will add another 100 calories, 11 g fat and 1 carb to the nutritional info below. 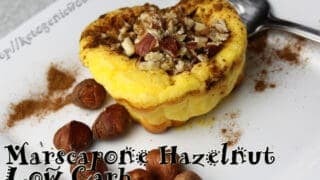 Check Out Some More Low Carb Cheesecakes! Keep this recipe for the best Low Carb Cheesecake on Pinterest! 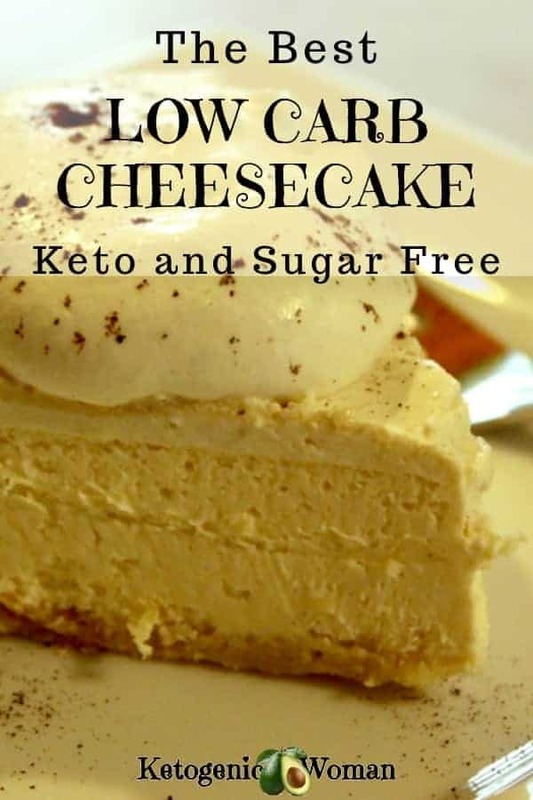 Tagged cheesecake, cream cheese, fat bombs, gluten free, keto cheesecake, keto dessert, LCHF, low carb, low carb cheesecake, low carb lemon cheesecake, nutritional ketosis, what to eat on ketogenic. Bookmark the permalink. The taste was excellent, I used truvia sweetener. But my oven is evidently hotter, so the entire cheesecake got this VERY brown color. I covered it with sliced strawberries and chocolate drizzle. It was still amazing! Sounds heavenly. And strawberries are a nice lower carb choice. It’s baking in the oven and I cannot wait the batter already taste so good! I am sure the finished product will also. Thank you! I hope you love it! This one is guest worthy for sure. If it’s just for myself, sometimes I skip the crust, the rest tastes so good even without a crust. Mine is in the oven as we speak! Can’t wait! My very first dessert on LCHF in 5 months and my vey first cheesecake…EVER! ?? ooooohhhh, this is like Christmas! I hope it turns out awesome for you! Thanks for the recipe. My family is new to LCHF lifestyle. We decided to change it up a little and use mascarpone, and did a raspberry topping instead. It’s baking in the oven now. Looking forward to trying it!! Oh I hope it’s wonderful! Thank you very much for sharing this awesome recipe. It will be a regular favorite at our dinner parties for sure. Yummmmmmy !!! Oh I’m so glad you like it! Thanks for coming by! I am glad you stated that it was not eggy to you. I was worried after seeing someone post it was. I will have to try it as it sounds awesome. Mango is completely awesome but not very Keto friendly due to the carbs. But if you are not concerned about that then sure, that could be nice! Just made this, very easy to make. I only used 10 sweet n low packets in the middle instead of 12 (which equals 1/4 cup) and it’s still quite a bit sweeter than I need. I skipped using any sweeter on the top because of that which gives it a nice sour twist. The center comes out far too egg-y. Next time I would try 6-8 sweet n low packs and only 3 eggs. Overall, however, it’s an awesome keto dessert and I’m definitely going to make it again and play with the recipe. 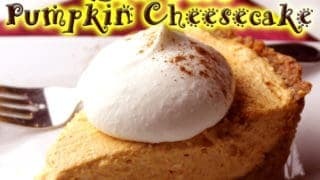 It’s one of my favorite cheesecakes that I’ve tried but definitely seems to turn out different for people and that probably depends on a lot of factors especially the type and amount of sweeteners used. I usually have to tweak recipes like this a couple times as well. Thanks for visiting! 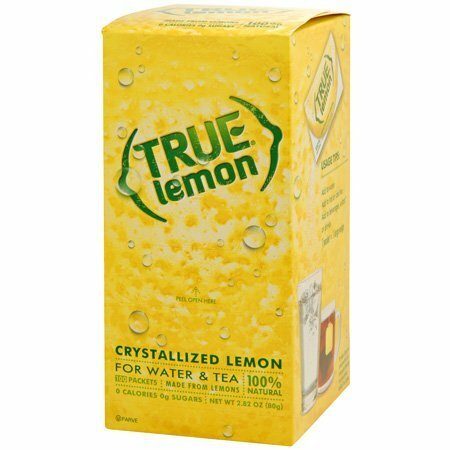 Hi, I cannot source True Lemon (unsweetened), not available in Australia, very frustrated as there is nothing like that here at all, any suggestions? You can just use the lemon zest! I use the True Lemon because I’m a working mom always pressed for time. Lemon zest is great and as long as you have a lemon, you have lemon zest! This cheesecake was awful. I followed the recipe to the letter. First, I suspected 1/4 Sweet & Low liquid sweetener was too much, & it was. The four eggs overwhelmed the flavor of the cream cheese to make the finished product taste too ‘egg-y’. One of my favorite sweeteners is liquid Splenda. No carbs and tastes great. I buy mine from a very nice lady at sweetzfree.com and she delivers greast service. I also like to order Canadian liquid SugarTwin (it’s cyclamates). Does everyone know that if you mix sweeteners, the sweetness is intensified so you can use way less of them? It’s true. I eat LCHF for a health problem not necessarily for weight. But I like good food! So thanks for some great recipes. Yes Carolyn, thanks for the reminder about that! I learned that from a low carb chef here in my town. And I’ve played with it and its true! It’s just the regular one, I just measured the bottom and it’s 10 inches across. I only have sugar substitutes in packets. I don’t actually use a 1/4 cup right? I have Truvia and Stevia. Please help so I don’t mess this yumminess up! I guess you’d have to figure out how many of those in a quarter cup. So if each packet is 1 tsp, there are 3 tsp in a tablespoon and 4 tbsp in 1/4 cup. So that would be 12 packets then. Hope that works! Sorry, not sure how I missed your question! I’m not really sure because the only xylitol I get here is in packets. Does it give any conversions on your box? I have not tried that yet, I’ll have to check it out. Yes! 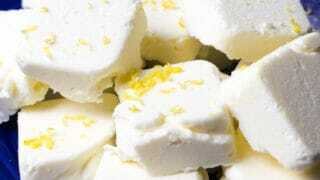 I have heard this before, I have xylitol and it freaks me out just a little. Thanks for the reminder for everyone! That looks amazingly tasty, especially considering it’s low carb. Some people just have a natural talent at making the delicious look like eye candy huh? 🙂 I’d love to try it. I just finished my first two weeks of low carb induction. This cheesecake looks amazing. I will definitely be trying it out soon. After 2 weeks of induction DURING CHRISTMAS! you deserve this cheesecake! And you won’t be cheating at all! I love cheesecake but, since I monitor my sugar intake, I can’t really enjoy it. I love the fact that this recipe is low carb and makes it more accessible to those of us who are health conscious. I miss making cheesecake. That looks mighty good! I had to pick my jaw off the floor! THIS looks amazing and it is low carb, say its not so? I need to bake this right away. Cheesecake is my weakness! I love that this is low carb! What a way to indulge and not feel guilt when I do! This looks delicious! 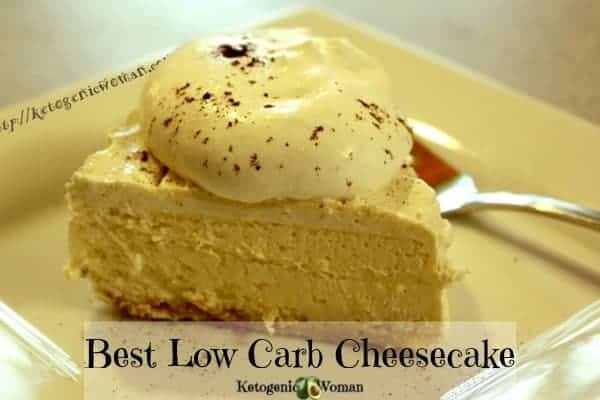 I’m a big fan of cheesecake but have never had one low carb. I’ll have to give this a try. Oh wow, this sounds amazing! I am a HUGE cheesecake fan, and why not cut the carbs when we can, right? The almond meal crust is what makes it gluten free and keeps the carbs low. But if that is not an issue for you, then by all means use a different crust! I use ground up pecans, butter and a bit of cinnamon for the crust on my low carb cheesecake. That sounds great, thanks for sharing. So simple, I will try it next time. I love cheesecake but haven’t tried lemon before. My dads a diabetic so I’m always looking for recipes I can make to take over during the holidays. Lemon cheesecake is my very favorite. It lends itself well to maybe add some fruit on top, like a strawberry or blueberry topping, for those not counting carbs. Thanks so much for posting this recipe. I have been in search of a really good Low Carb recipe and this one looks amazing! Thank you, thank you, thank you for a recipe that a diabetic can safely eat!!! I am bookmarking this post!! You are most welcome! But I tell you, the non-diabetics will be asking for this recipe as well!